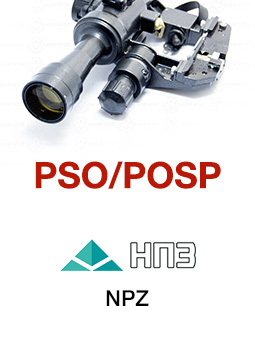 This is the best Russian small open collimator "red dot" combat optic using laser-generated "heads-up display" (HUD) technology to superimpose a reticle pattern onto a filtered lens to provide precision CQB target acquisition. This is the best Russian small open collimator "red dot" combat optic from Pilade manufacturer using laser-generated "heads-up display" (HUD) technology to superimpose a reticle pattern onto a filtered lens to provide precision CQB target acquisition. This system presents an unobstructed field of view, in 1x power which allows for extremely comfortable, "both eyes open" shooting. On average, most users will see a 50% gain in target acquisition times and a 50% smaller shot group at 100 meters versus iron sights. It is designed for engaging fast moving targets and targets appearing for a short period of time in close quarters and urban combat situations in various light conditions. 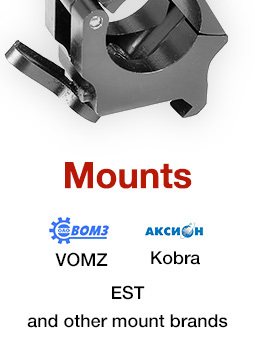 It provides clear targeting from 104 lx to 10-2 lx (daylight, twilight and moonlight), one- or two-eye targeting, is very effective when shooting from moving vehicles, and allows for perfect kill shots on fast-moving, small and spontaneously appearing target. 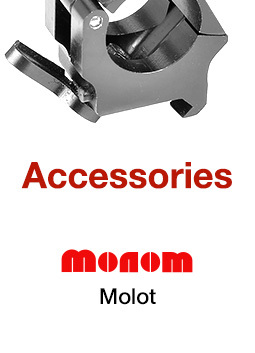 The sight provides 3 MOA dot with automatic brightness adjustment. The scope goes off when the cap is put on it and automatically switch on then the cap is removed. No buttons, no switches, no problems. At the rear top and right are the adjuster screws. Just release holding screws before adjusting and tighten them before shooting. 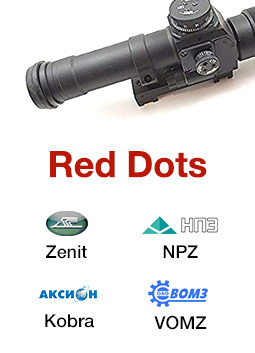 It is a tough, well built Red Dot with superior features at a fraction of the cost of other similar scopes. A definite Best Buy, it's lightweight, shockproof, waterproof, has a sealed body, and is for use in severe conditions. It comes with a battery, adjusting limb, screw driver and manual. Batteries for this scope can be found at the bottom of this page or in the Batteries and Bulbs section. Display is a single centered red dot.